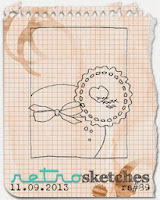 I just received this super cute set of stamps from TAWS - Breakfast Club and I have been itching to use them. 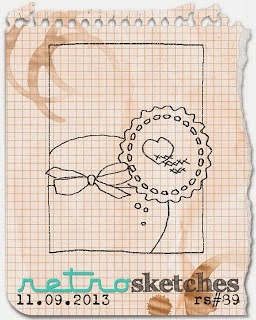 This was the perfect sketch! DP's are just some scraps that I had, but I wanted to go for a winter-themed card and this seem to work quite well! This is so adorable! 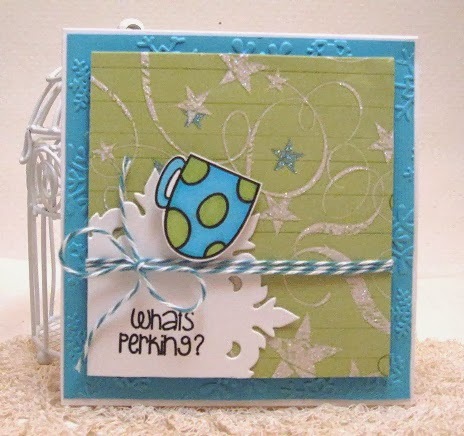 I just love the colors you picked, and the twine adds a perfect touch.. 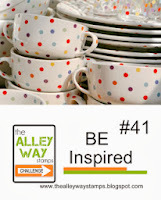 Thanks so much for linking up to the BIC at The Alley Way Stamps..
Love this! The colors are funky and fresh and I love how you combined both challenges! Thanks for joining us at the TAWS BE Inspired challenge! So cute..and pretty! I love the snowflake diecut. 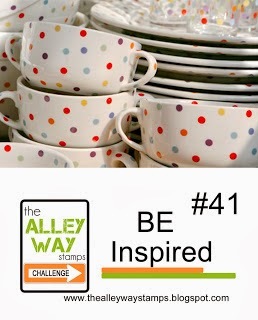 That spotty mug is my favorite :) Thanks for joining us at TAWS Be Inspired Challenge!! This is so cute, what great colours.